Robert P. Mino, PA, offers business law services. From managing your Intellectual Property and supporting your regulatory affairs needs with the FDA, to being virtual in house counsel on your leadership team to provide advice on internal HR issues, due diligence matters, sales contracts, and a plethora of other legal needs, we are there. The firm focuses on th e needs of small to medium-sized businesses but can help businesses of any size. Robert P. Mino is a patent attorney registered with the United States Patent and Trademark Office (USPTO) and a member of the Florida Bar. He is also an experienced business professional, with significant commercial experience in almost every corporate function – not just law. In addition to a successful career in Fortune 1000 companies, he is an entrepreneur as well, having started two successful businesses and has helped many more. He has served as general counsel, associate general counsel, and corporate intellectual property counsel, as well as working for his own firm. If you find that your business needs an in–house counsel but cannot justify keeping a full-time legal team on staff, please contact Robert P. Mino, PA, to discuss our affordable “virtual in–house counsel” services. 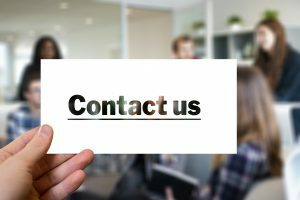 Our attorney and affiliates have been in-house counsel for companies, large and small, and understand the value of your precious internal resources. As virtual in–house counsel, we become intimately familiar with your business and are available when you need our help, whether for a quick contract review or an ongoing internal audit. Because your virtual in-house counsel gets to know your business, your counsel will be up–to–speed when it comes to your business’s needs. Click here to learn more. We offer services in all areas of intellectual property law. Click below to learn more. Robert P. Mino is an entrepreneur with small business experience. He understands the unique challenges facing entrepreneurs. Small businesses need to focus on what really matters. As an entrepreneur himself, Robert understands the unique needs of small businesses. Due to his wide-range of experience, the attorney also works on non-legal projects as a consultant. Starting a business? Need a Trademark? Buying a business? Having a contract dispute? Interested in updating your corporate Trade Secret program? Have a patentable idea? We can help with patent, trademark, copyright, trade secret audits, contracts, leases, licensing agreements, business plans, strategic plans, and other documents. In addition to business and intellectual property law, Robert P. Mino, PA, has extensive experience helping healthcare professionals with employment agreements, corporate human resources issues, and business sale valuations. Robert P. Mino, PA, our goal is to be an advocate, an advisor, and a trusted partner for your small business needs. Robert P. Mino, holds a Juris Doctor, with a focus on business and intellectual property law. Robert was awarded the prestigious book award in “Law and Entrepreneurship.” He earned an MBA with a focus on business and entrepeneurship. During business school, Robert was awarded the “Best Written Plan” award for a business plan he co-drafted for a biotech, which was ultimately funded using the plan. He also holds a Master in Medical Sciences, with a focus in Pharmacology and Molecular Biology and a Bachelor of Science in Genetics. He earned a certificate in Copyright Law. He has obtained several certificates from the Regulatory Affairs Professional Society. Robert P. Mino is a member of the Palm Beach County Bar Association, the Business Law Section of the Florida Bar, and the Healthcare Law Section of the Florida Bar. He is an Adjunct Faculty at Florida Atlantic University, where he teaches courses in intellectual property law and pharmaceutical sciences. Believe you may have a new invention? Learn more about our patent filing services. Changing your dietary supplement labels and unsure about your structure / function claims? Let us help. Does your business rely on a secret process, customer list, or formula for its success? Contracts can be extremely important. Before you negotiate the deal, let us advocate for you.